You’ve landed on the Friday edition of the Amazing Seller podcast where Scott does his “Ask Scott” episode. It’s an opportunity for up and coming or veteran Amazon sellers to ask their real life questions of Scott Voelker, a successful Amazon seller who is making it his job to teach and inform about Amazon sales and Private Labeling on Amazon. If you’ve got a question you’d like to ask Scott, you can find out how to do that on this episode, so make sure you listen and ask your questions! Maybe it will be featured on this Friday slot! If I log on to Amazon using different IP addresses, is that going to cause me problems? When you log on to any account, Amazon or another site, the website logs what IP address you are logging in from. An IP address is the internet address where your particular computer is located. A coffee shop will have a different IP address. The library will have a different one. Your parent’s house will have yet another. Are there problems that arise when you log into your account from multiple IP addresses? It’s an interesting question that Scott takes on. If you’re curious, take some time to listen in to this episode! If I’m an International Seller, what can I do to maximize my U.S. Sales? International sellers have a lot of additional hoops to jump through in order to sell their products in the U.S. market. 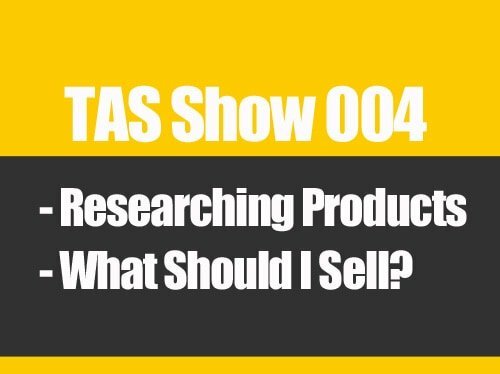 A listener tells Scott he’s doing great so far selling products from Australia, but wants to know what things he should watch out for in order to be successful at his U.S. sales. Scott’s got two great resources to share that should help international sellers make the best of the opportunity to do private label sales on Amazon. If you live outside the U.S. and would like to sell on Amazon, you’ve got to hear about these resources! I created my own product but am not being allowed to use PPC. Can you help? This listener from Colorado has created his own product and loves that it’s the only product on Amazon like it. He got his first 5 reviews and then went to set up his first PPC campaign just like Scott suggests. 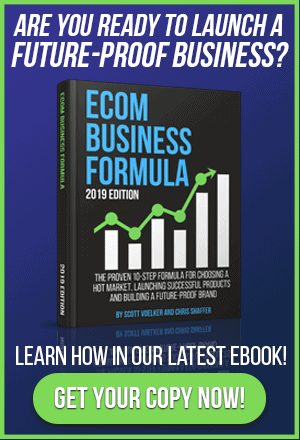 When he started the process he discovered that Amazon would not allow him to set up a PPC campaign because he did not have the “buy box” inside the Amazon product listing. That doesn’t make sense. If it’s his product, he should be the only one on the listing and should have that buy box. What’s the catch? Scott’s got plenty to suggest to this seller in regards to tracking down this strange problem, on this episode of The Amazing Seller. Is it a major hurdle to start my Amazon sales in a restricted product category? Restricted categories in Amazon are certain product niches, like health and beauty, where Amazon will not allow new sellers to enter without approval. A new Amazon seller wants to know if it’s a major problem for him to try to get approved for a “gated” or restricted category within Amazon in order to start with his first product. 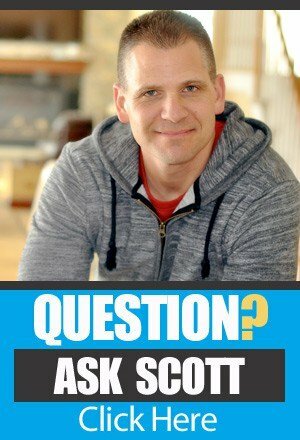 Scott’s advice is that he not try to get into a gated community like this for his first product and he has plenty of reasons why he gives that advice. You can learn a lot from Scott’s reply so make sure you listen in to hear all the details. [0:05] Welcome to the episode! [1:10] A graphic shared on the TAS Community on Facebook. [4:30] QUESTION 1: Can I use various IP addresses when accessing my Amazon account? If so, what problems might it cause? [11:35] QUESTION 2: What are the obstacles for international Amazon sellers? [16:05] QUESTION 3: My products are not allowed on PPC because I don’t have the “buy box” for my product. What can I do? [20:18] QUESTION 4: Is it a major hurdle to get approved for a restricted category for my first product? www.TheSellerAbroad.com – A new Amazon seller from Australia! Long time listener, love the positive go-getter message in your podcast. After listening to you for a while, I decided to stop obsessing and becoming a ‘d0-er’. Unfortunately the category I chose was beauty. As you obviously know (and I now know), it is extremely hard to get ungated in beauty. I am now sitting on a ton of product I can barely afford. Any tips on how to proceed? Hey Dan, I know beauty has been a pain lately! I would continue to try to get ungated in beauty, but in the meantime. Is there another “similar” category that the product would fit in to? e.g. Health and personal care or home and kitchen? Oh wow, didn’t even consider a different category. It’s a product that you leave on your face – I think I’ll give personal care a shot. Thanks so much for your response Scott, your podcast is a real inspiration. Cheers for the shout out on this podcast. Love your work. I’ll be honest, I was super excited that you had mentioned my blog. Great to know I can help others. I look forward to contributing to the community. First of all, you have an excellent blog and podcast… Congrats on your well deserved success with it. I’m a long time fan I’ve been listening to your podcast since there were just about a dozen of them, and so far I have listened every single one (some more than once, actually). In order to “win the buy box” on an Amazon listing, there are some guidelines that need to be met and not everybody is buy box-eligible since day 1. Being the only seller of a listing, or the sole owner of an item listed, does not automatically gives you the buy box. As we all AZ sellers know, Amazon have many, many, many guidelines and terms of services, in order to keep “the amazon game” as fair as possible (some of them are fair, while some others might be a bit frivolous). If Amazon considers no sellers on a listing are “buy box worthy”, they will simply leave the buybox open and will show a message that says “Available from these sellers” with a link to the sellers page (the same one that shows when you click on the common “## New” link, etc.). With all that being said, there are several reasons why amazon may “deny” a seller the chance of winning the buy box, some of them could be: not being a featured merchant, having low seller performance statistics, heck, even having a selling price higher than listing’s retail price could drop you off buy box heaven… Most Private Labelers don’t have this issue cause our performance stats are usually high (since Amazon does all the heavy lifting for us) and most have FBA Professional accounts (that makes you an Feature Merchant automatically). If our fellow merchant in question reads this, if you have a Merchant Fulfilled or FBA Personal account (the one that you pay 99 cents per sale) that could be your problem. If not, try to lower your selling price a bit, wait half an hour, and see if you get the buybox (sometimes that does the trick). And if none of that helps, contact Seller Support and they should be able to sort that out. This is a prime example of why I absolutely LOVE the TAS community. You seriously rock Eddie, Thanks! Love your podcasts and scopes mate. Thought I would provide some feedback re the “Bank account” requirements for overseas sellers. Amazon has ability to pay direct to many overseas country bank accounts. The full list can be found in Seller Central. I am in Australia and have payments from Amazon made direct into an Australian business bank account – no worries. Was that an AUD account or a foreign currency (USD) account? We are in Australia too. You can connect from multiple IP address to one Seller Central Account but not from multiple Seller Central Accounts from one single IP (It is very important if you are connected from a public Coffee Shop and another seller it is or was connected from that place). Yeup if you have multiple seller accounts that you’re accessing, it’s best to let Amazon know what’s going on and why you’re doing it. Spot on Dan!